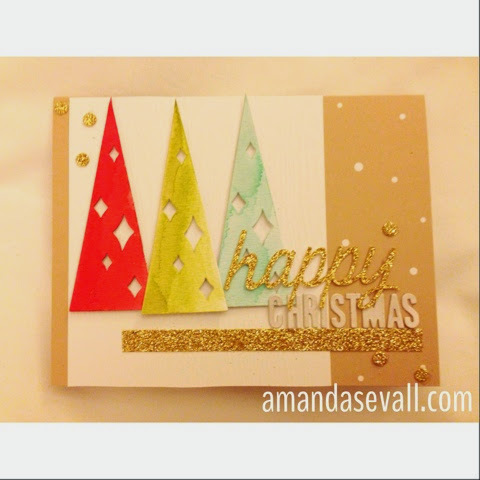 Amanda Sevall Designs: Sneak Peek Card from Convention... !!! Hello from Convention!! I'm having a blast and cannot wait to share everything when I get home. In the meantime I wanted to share something fun! I took a Master Class tonight for the upcoming Watercolor Winter Simply Created Card Kit and Stampin' Up! challenged us to make and share a card using the contents of the kit.... So here is my contribution! You're all going to love this kit.. So much fun and so cute!! Best part? It makes 20 cards, comes with all the envelopes and only costs $24.95 plus tax, s&h!! You can't buy store bought cards for that price. Very cute! I don't know why everyone doesn't make their own cards. I always freak out when I get a store-bought card and see that someone spent $5+ on it. Crazy!